Ice Age: Continental Drift DVD and Blu-ray release date was set for December 11, 2012. 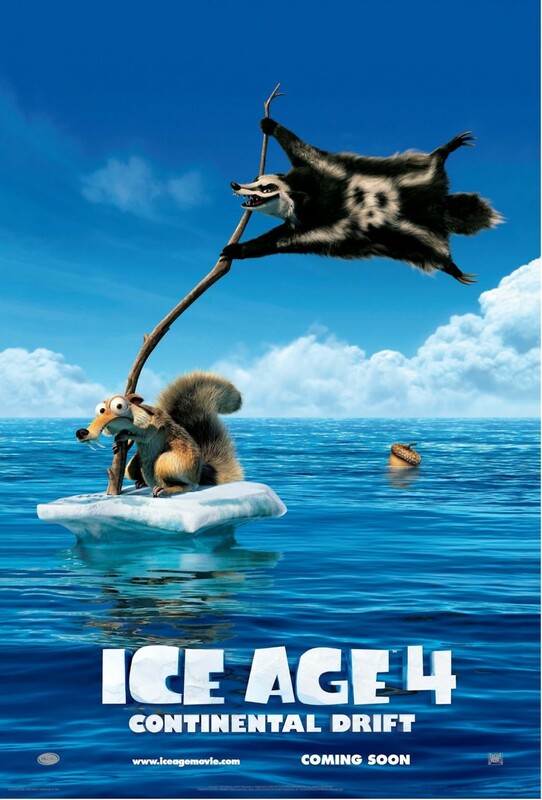 Scrat's longtime quirky quest of the jinxed acorn has world altering ramifications, a violent, destructive event. This creates one of the most memorable journeys for Sid, Diego and Manny, who vows to find his way back home. During their trip across the ocean on an iceberg ship, they're kidnapped by the evil Captain Gutt and his team of pirates. When they are finally able to get loose, Manny creates a plan to take over Captain Gutt's ship to get back home. Unfortunately, the dangerous pirates have other plans for Manny and his friends.